You are here: Home / Blog / News & Events / Last Free Seminar (LIVE! Trading) Before my One Month Trip! Last Free Seminar (LIVE! Trading) Before my One Month Trip! At the end of this month, I will be taking another one month holiday, and this time I will be covering New York, Washington DC, Great Smoky Mountains, Orlando, Miami, and lastly Mexico. It will be another great chance for me to apply my 15 minute trading system. to continue building my portfolio even while I’m travelling. But before I leave, I will be having a final sharing session on 22 July 2015 (Wednesday) at 7pm. For those who want to reserve your slots for the September training program intake, you can also drop by to make payment and reserve your seats. http://synapsetrading.com/wp-content/uploads/2014/03/logo-header1.png 0 0 Spencer Li http://synapsetrading.com/wp-content/uploads/2014/03/logo-header1.png Spencer Li2015-07-18 03:44:002015-07-18 03:46:18Last Free Seminar (LIVE! Trading) Before my One Month Trip! 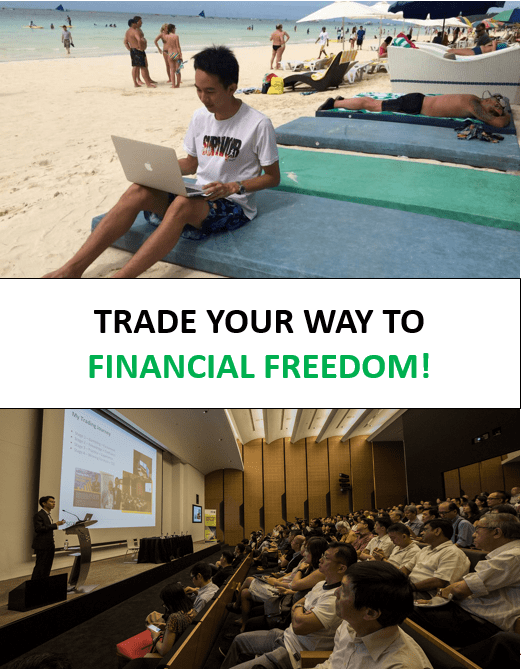 Testimonial: "Thanks for Making this Easy & Simple to Follow"
Testimonial: "Willing to Share his Experience as a HF Trader and an Ex-Fund Trader"
Testimonial: “I learnt How to Apply the 7 Behaviors Steps” Thank You for the Overwhelming Response at NAC 2015!